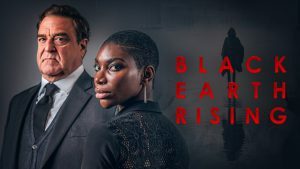 Paul recently completed shoo ting BLACK EARTH RISING an 8 part TV series for BBC / Netflix directed by Hugo Blick with whom he worked on The Honourable Woman in which he played Daniel Borgoraz. He played Shimon Peres in the award winning hit, Oslo which began at the NT and transferred to the Harold Pinter Theatre. He played the lead in Storm at Jermyn Street Theatre and Joe Celano at The Park Theatre, in The Trial Of Jane Fonda starring Anne Archer. Paul played Daniel Borgoraz in the 9 part serial for BBC TV, The Honourable Woman, starring Maggie Gylenhall. Paul played Captain Papa Louw in his award-winning play, The Dead Wait, at the Park Theatre 200 in 2013. 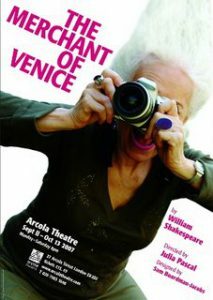 The production was received with critical acclaim. The Life And Loves Of A She Devil in which he played Garcia, has just been repeated on BBC4. He recently completed a major screenplay for Ecosse films and has been commissioned by them on a new project, the adaptation of a major 20th century novel. He is also working on a commission for New Sparta and FilmAfrika.